NEWINGTON – MedCare Express, an urgent care clinic on the Berlin Turnpike, touts itself as the only walk-in facility in the area open every day of the week. Like other walk-in clinics, MedCare Express allows patients to visit the facility with no appointment for help with their medical needs. Most insurance is accepted but not required for many of the services available at the clinic. MedCare Express even has an on-site lab for some of its urgent care offerings like x-rays and blood work processing. While urgent care is a focus of the company, MedCare Express also offers primary care services to families. Anything from illnesses and infections to general physicals can be done at the facility. Among the other services offered at MedCare Express are: women’s care; immunizations; pediatrics; addiction help; and occupational health. MedCare Express is located at 2288 Berlin Turnpike. The facility is open seven days a week from 8 a.m. to 8 p.m.
Those with questions about MedCare Express and the services it provides can reach out via email at contactus@fastmedcare.com or call 860-757-3575. 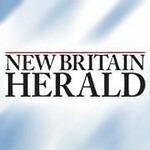 Posted in New Britain Herald, Business, Newington on Tuesday, 5 February 2019 20:09. Updated: Tuesday, 5 February 2019 20:11.